Beauty and grace lie within the length of this Pink Pearl Bracelet. 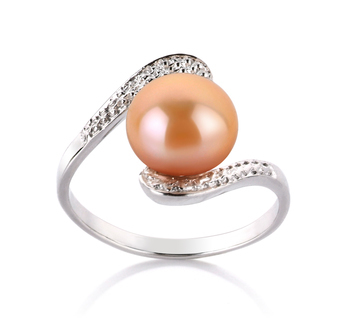 With the Elegance of a lady, the (AAA) shape shows defined curves and out of round circles that offer a clearly unique and interesting piece. 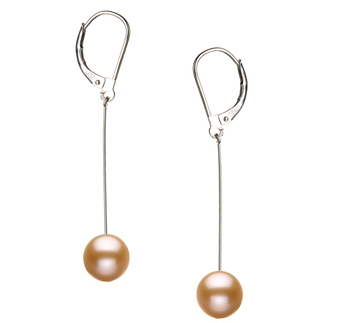 The (AAA) lustre gives the unique pieces a never ending sparkle that lights up the dips and curves found within the slight differences. 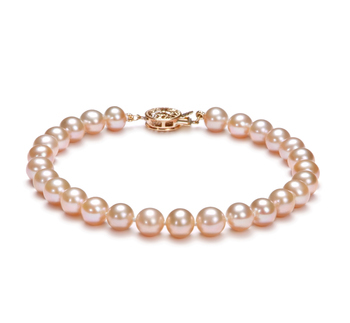 As interesting and unique each pearl is the process of maintaining the strength and durability of the Pink 6-7mm AAA Quality Freshwater Pearl Bracelet is far more important. 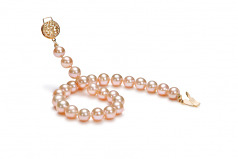 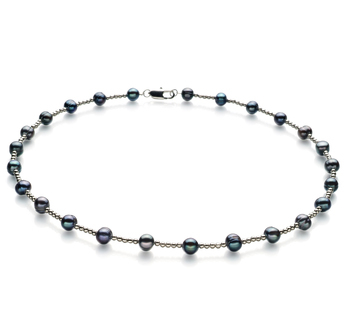 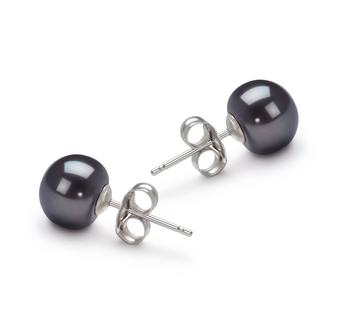 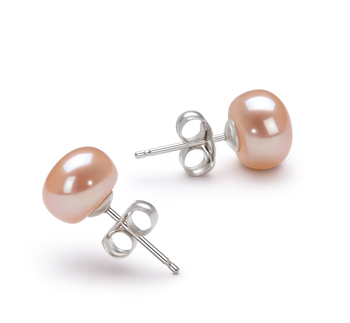 Each pearl is hand strung onto a fine high quality silk thread. 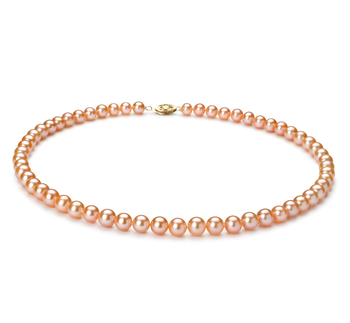 Each pearl is separated by a hand tied double knot ensuring that no two pearls ever touch, rub, or damage the shape or lustre of the Pink Fresh Water Pearls.